Icinginks - Premium store for purchasing cake edible printing supplies. 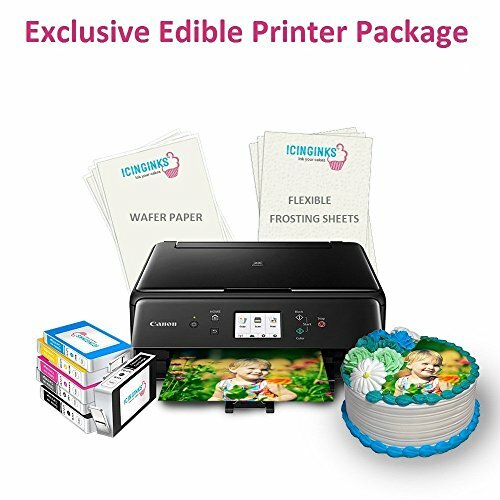 This exclusive printer bundle contains the most flexible frosting sheets in the market. You can fold the paper, can be easily cut, can be used as lace, best edible paper to cover the cake tiers walls since it does not crack. Most edible papers gets cracked while cutting, feeding into the printer, while using around cake walls but these are one of the best and most reliable, flexible frosting sheets.